When chicken goes on sale, we buy a bunch. 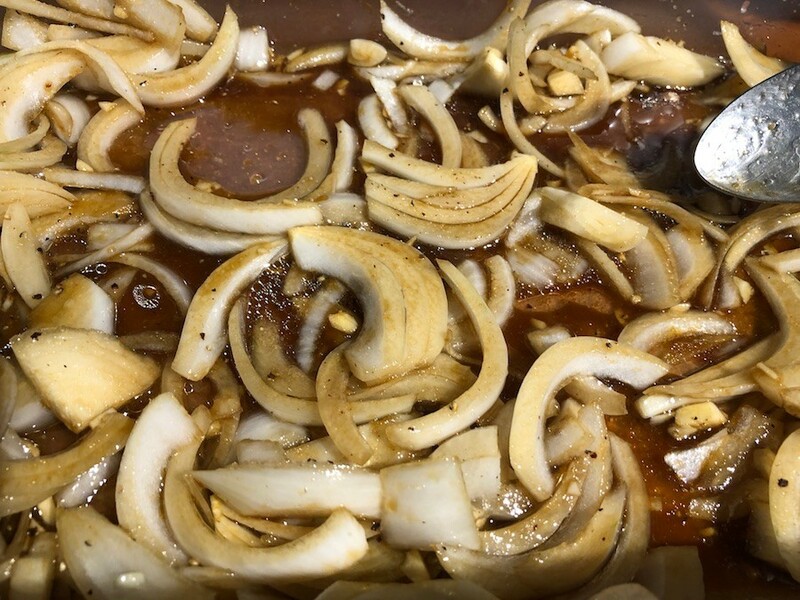 We marinate it in this saffron, onion, turmeric and lemon mix, then grill them within the next day or two. The onion and lemon really tenderize the meat and supply a great flavour. I love the yellow colouring from the saffron and turmeric, both which are full of heart-healthy vitamins and minerals. I like to lay them on a few sheets of lavash bread because they catch the juice and make for a delicious, soft wrap. This is great recipe all year round, but I especially love it for summertime! To make the marinade, dissolve the saffron and turmeric in 3 tablespoons of water. 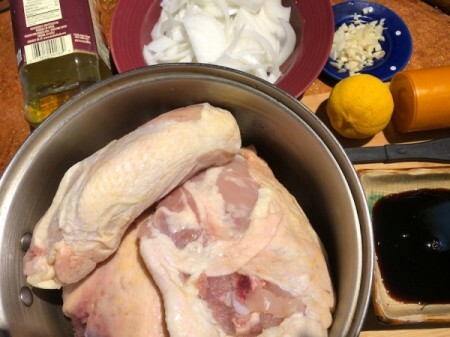 Mix together with all the other ingredients (except the chicken) in a large container. Puncture the chicken breasts several times with a knife. 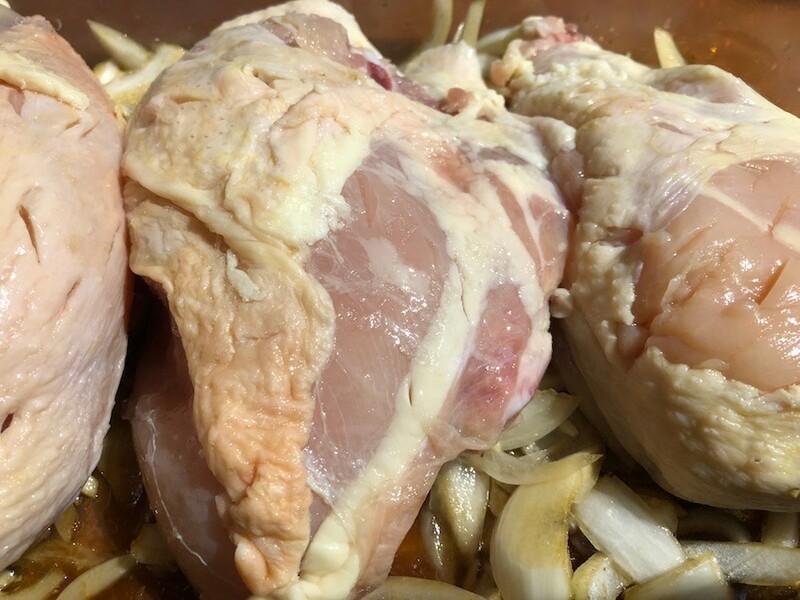 Place chicken in the marinade. 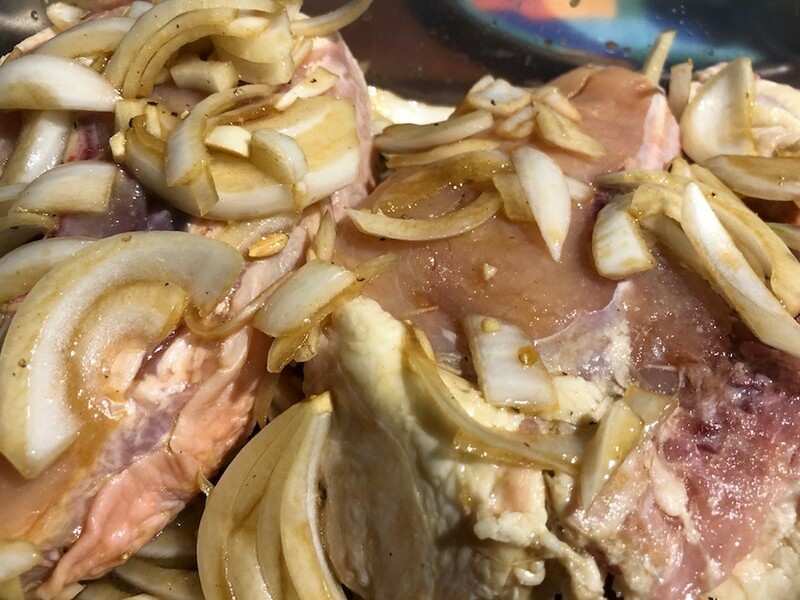 Spoon marinade all over. 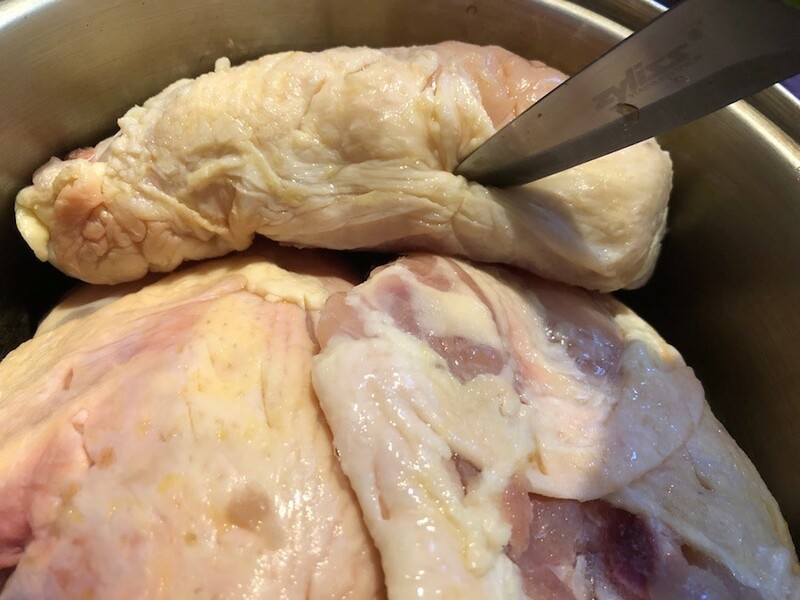 Cover and refrigerate for 24 to 48 hours, turning once at the halfway point. 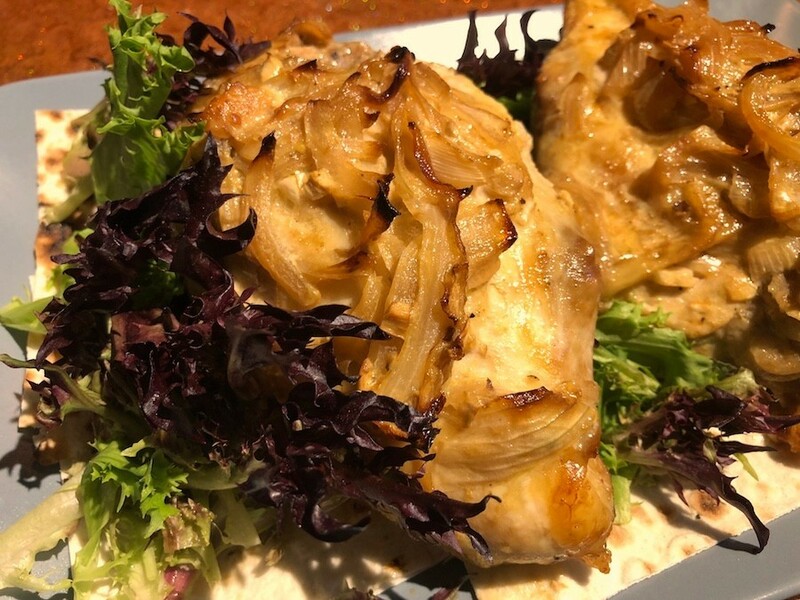 Preheat oven to 375 F. Let chicken sit at room temperature for 30 minutes before cooking to ensure even cooking. 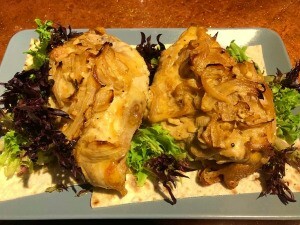 Place chicken on a baking sheet and top with the marinated onions. 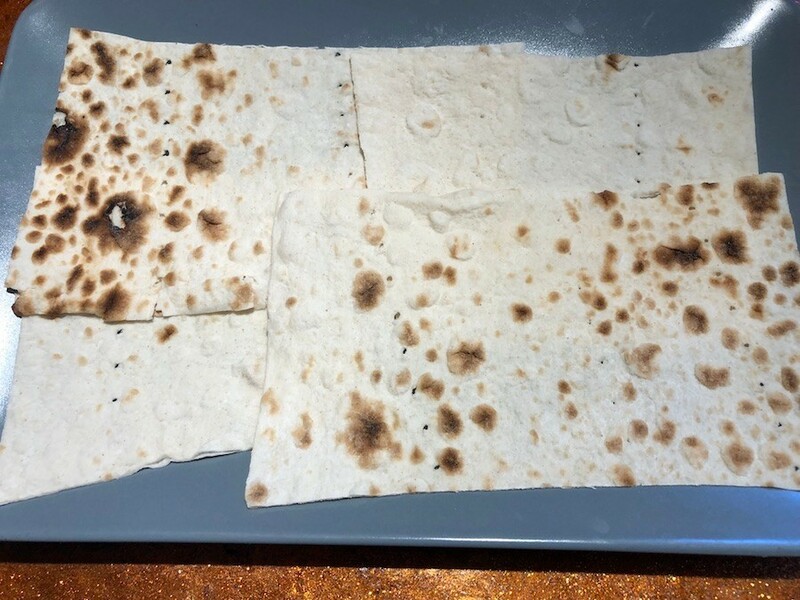 Cook in oven for 30-45 minutes, until internal temperature is 160 F.
Line a serving platter or individual plates with some lavash bread. 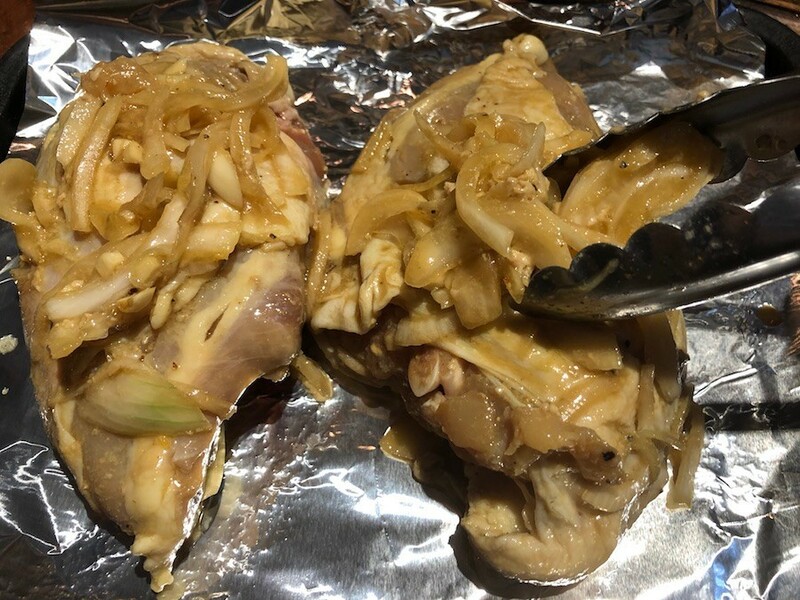 Place chicken breasts on top, then pour the juice from the baking pan on top. Serve immediately. Looks and sounds good, can't wait to try it. Thanks!! !